Add some colors to your part look with these multicolor drop earrings. 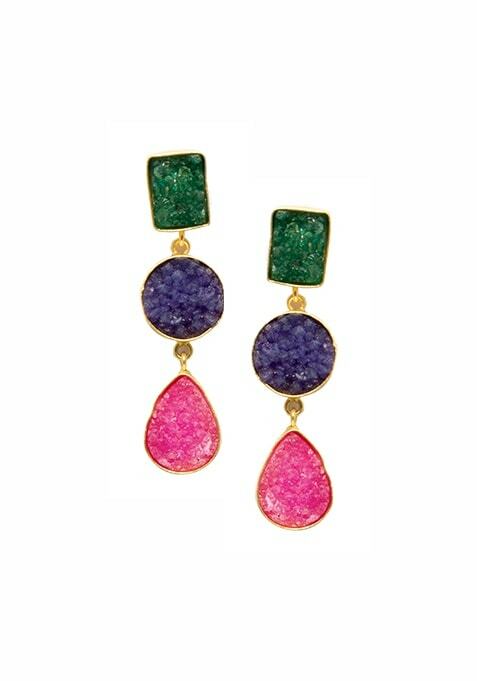 Featuring green, blue and pink stone details. Work It: These earrings make BFFs with a solid colored silk tunic.